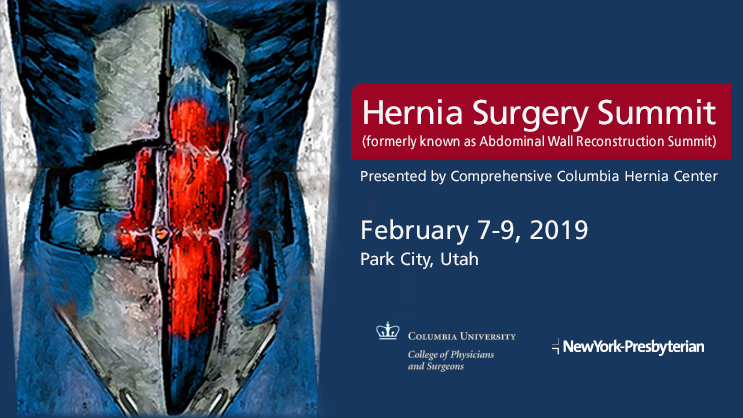 The Columbia Hernia Center brings together a group of surgeons focused on hernias. We are adept in using the newest techniques and materials in hernia repair. Our surgeons are experienced in treating primary and recurrent hernias using both open and laparoscopic methods. Abdominal wall and groin hernia repair has made major advances in recent years, leading to smoother recovery, minimizing recurrence, eliminating tension on muscle layers, and making treatment possible for hernias previously considered not repairable. New prosthetic materials strengthen the abdominal wall and groin without need for the surgeon to cut into adjacent muscles. These "tension-free" procedures come with less pain and involve minimal recurrence. Advances in laparoscopic surgery often mean a more rapid return to normal activity, with reduced discomfort and hospital stay for the patient. Abdominal and groin hernias can be painful, may compromise lifestyle, and in some cases can be dangerous if left untreated. Our center is available to patients for consultation, surgical treatment, follow-up, or just for questions, and we can provide appointments within a week. One of our surgeons is always on call for emergency situations. If you would like to set up a consultation, please call us at 212.326.5547. We look forward to answering your questions and meeting your hernia care needs. Coming from out of town? Learn more about our services for out of state and international patients. Larry Grunfeld was enjoying an active retirement until he was stopped by a large and painful hernia. After minimally invasive surgery pioneered by Dr. Yuri Novitsky, director of the Comprehensive Hernia Center, Larry is back on the golf course and hiking and swimming to his heart’s content.